This triple bill offers an evening of glorious choreography, opening with the exuberance of Ashton’s Birthday Offering. Birthday Offering, first shown in 1956 for the 25th anniversary of the Company (then known as the Sadler’s Wells Ballet), starts with the melodious phrases of Glazunov’s Concert Waltz No. 1, and Tom Seligman in the orchestra pit made it swell with pride and energy. The choreography is full of charm and inventiveness, and the fourteen dancers, led by Tamara Rojo and Federico Bonelli, performed it beautifully. Among the six supporting men I particularly liked Brian Maloney, who showed wonderful head and arm movements, and the seven variations for the girls were a delight, starting superbly with Yuhui Choe. Helen Crawford showed excellent technique in the very difficult variation number seven, and Tamara Rojo came last in variation six, dancing brilliantly, both alone and with Bonelli. Costumes by Andre Levasseur are stunning, and this made a perfect start to the evening, but where was the floral bouquet for Rojo? A similar thing happened to her with the recent Prince of the Pagodas — very odd. From the unalloyed pleasure of Birthday Offering the evening moved to the drama of A Month in the Country, created by Ashton in 1976. To music by Chopin, arranged by John Lanchbery, this one-act ballet condenses the main aspects of Turgenev’s play using choreography that fully expresses the emotions of the characters. Zenaida Yanowsky gave a superb portrayal of the mother, exhibiting her customary flirtation with Rakitin at the start, followed by her attraction for the new tutor and finally her anguish at his departure. As he flees the house she struck a lovely pose of pensive regret by the doorway before stepping very slowly into the room, bringing the ballet to its close. In the meantime her sudden loss of interest in Rakitin was perfectly expressed, and Gary Avis gave a finely drawn portrait of this family friend. Her jealousy of Vera was beautifully judged, and Emma Maguire was superb as Vera, with her own fit of jealousy stunningly expressed. As the attractive young tutor, who brings such immense confusion to the household, Rupert Pennefather was perfect, showing in his solos just the right joy and angst on occasion, and his partnering of both the mother and Vera was beautifully done. This performance of Month was worth the whole triple bill, with Birthday Offering as one bonus, and Les Noces as another. Les Noces is an extraordinary work, supported not only by an orchestra, but four pianists, and four vocal soloists plus chorus. 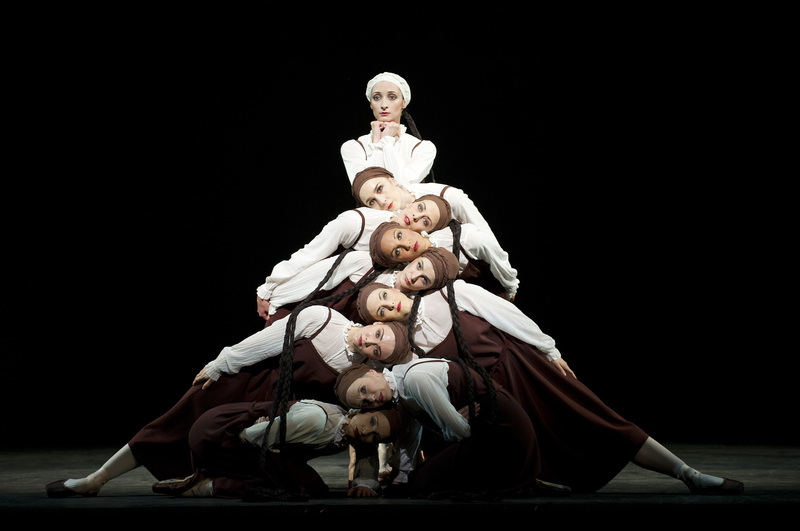 Bronislava Nijinska’s stylised choreography to music and song-text by Stravinsky shows the preparations and ritual surrounding a peasant wedding, and Natalia Goncharova’s costumes in brown and white express the unifying power and conservatism of the local culture. There are analogies with the Rite of Spring, but here the chosen one is the bride whose previous life is being converted to one of procreation and duty to her husband, according to the implacable force of tradition and the collective will of the community. The dancers brought the choreography to life with huge force, and Ryoichi Hirano made the bridegroom a tall and powerful figure, with Christina Arestis suitably pliant as the wife. 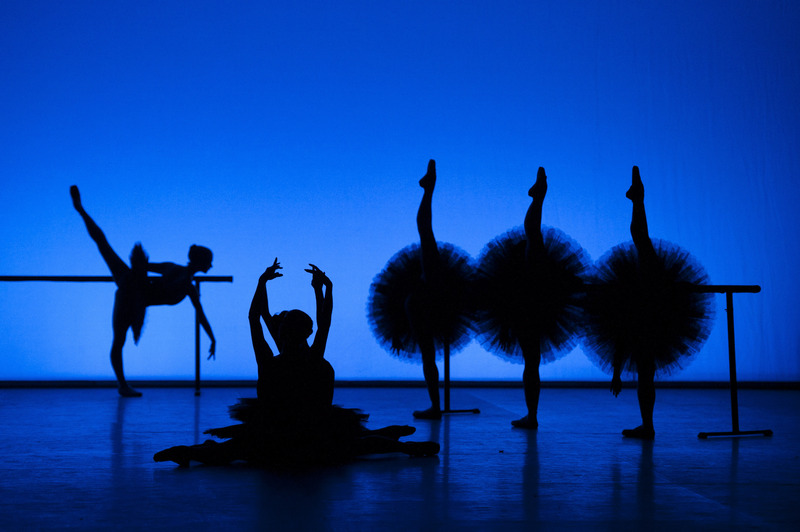 This ballet, always an invigorating experience to watch, brought the evening to a perfect close. It’s a triple bill not to be missed, and I shall report on a different cast next week. Performances continue only until July 7, so book immediately — for details click here. King Lear meets Sleeping Beauty in this mid-1950s fairy tale creation by John Cranko, to music commissioned from Benjamin Britten. 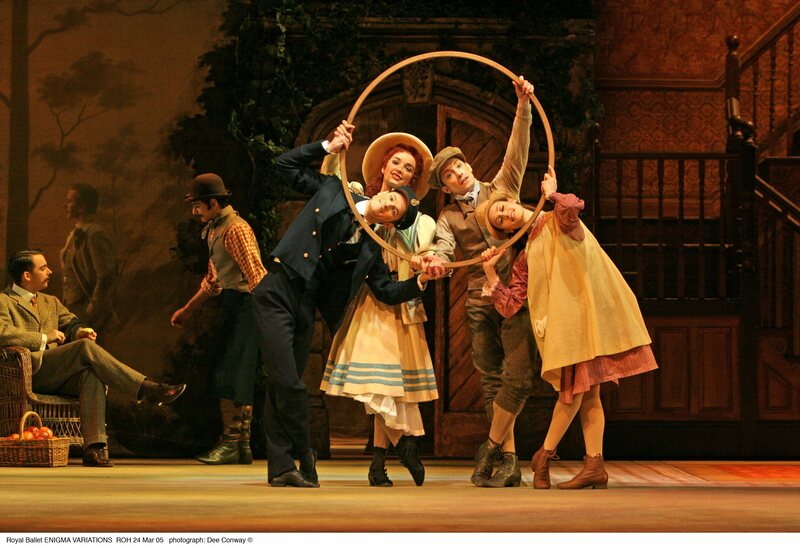 After the Cranko ballet fell out of the repertoire, Kenneth MacMillan made his own version in 1989. This revival now contains some cuts to the music that he originally intended, but was not permitted to make. The central character is Princess Rose, who leaves her father’s court, his crown having been taken by her elder half-sister, Princess Épine. She travels to the Other World, conquers her fears and returns to re-enliven the king, put Épine to flight, and become betrothed once more to her prince. Marianela Nuñez was a serenely beautiful Princess Rose, who danced divinely, and Tamara Rojo was enormously powerful as the scheming Princess Épine. Nehemiah Kish as the prince made a fine partner for Nuñez, and gave a strong performance as the salamander whose form he takes, testing Rose’s ability to show compassion and move beyond mere platonic love. 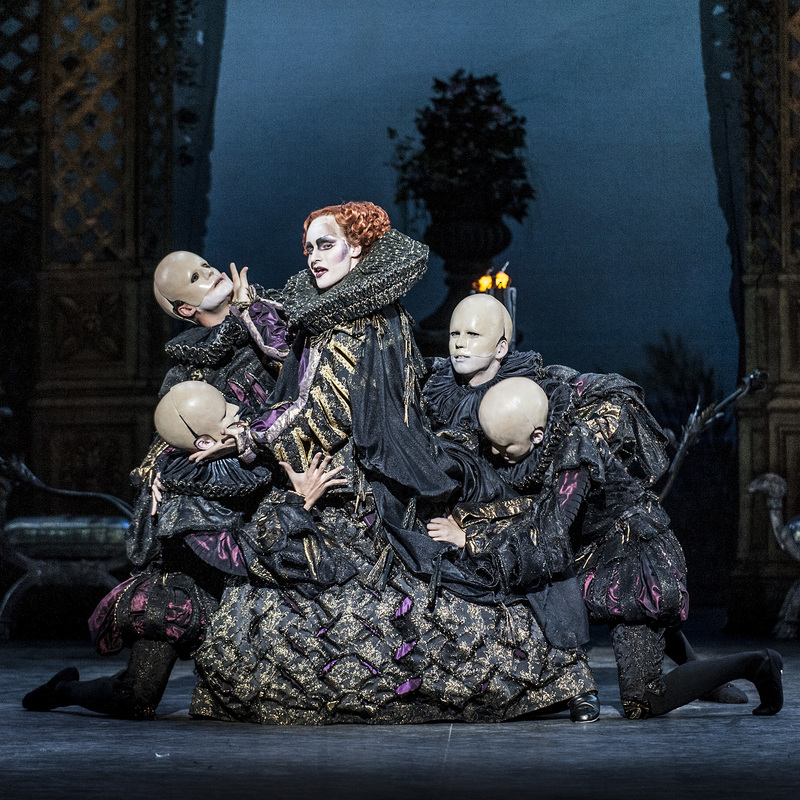 The four kings from Acts I and III, who appear in nightmarish form in Act II, were superbly danced by Bennet Gartside (north), Valeri Hristov (east), Steven McRae (west) and Ricardo Cervera (south), and despite the disguising make-up, McRae’s wonderful dancing gave him away, and his camp portrayal was glorious. The big male solo role of the Fool, who guides Princess Rose, was brilliantly performed by Alexander Campbell, and the whole company danced beautifully. Alastair Marriott was excellent as the old king who, like Lear, is apportioning his kingdom to his daughters. His body language reminded me of the Red King in Checkmate, and his recovery when Rose reappears was superbly performed. The fine designs by Nicholas Georgiardis are well lit by John B. 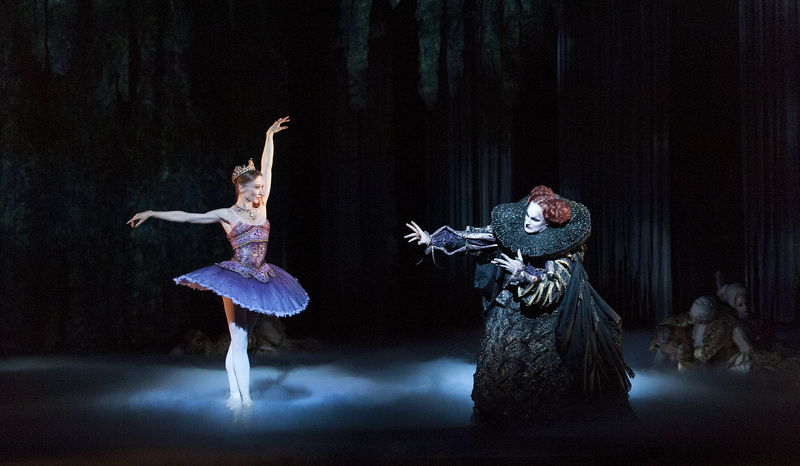 Read, and we have Monica Mason to thank for a well-judged revival of this MacMillan ballet. The large orchestra under the baton of Barry Wordsworth was once again in top form after the recent Salome, and considering the huge amount of work and careful attention to detail by the team responsible for this production it is astonishing the Royal Opera House made such a mess of the flowers at the end. Nuñez received three lovely bouquets, while Rojo merely got a small bunch wrapped in paper. Embarrassing for the Company, and something of an insult to a superb dancer who is leaving soon to become artistic director of the English National Ballet. She will be sorely missed and the audience roared their approval at her solo curtain calls. Performances continue until June 29 — for details click here. This was an entirely twenty-first century triple bill. The first work, Christopher Wheeldon’s Polyphonia, set to ten piano pieces by Ligeti, was first shown in New York at the start of the century, January 2001. 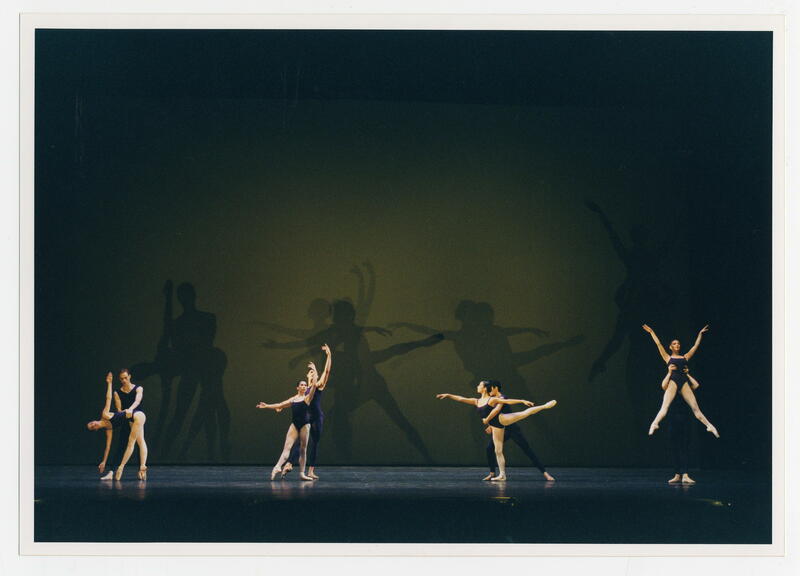 The large Covent Garden stage gave space to the spare minimalism of Wheeldon’s choreography, with darkness sometimes surrounding a spot for the dancers. It has the sense of a sequence of études created for four couples, and along with the pas-de-deux work there is a section for three female dancers and another for two males in contest with one another. The silences between the ten sections and the purity of the piano sound give it a contemplative feel, and it was beautifully danced. It was only spoilt by some handkerchief-less members of the audience who couldn’t control their tousserie. Sweet Violets is such a pretty title, quite in contrast to the content of this brilliant new work by Liam Scarlett. It starts with an incident on September 11th, 1907 when a part-time prostitute named Emily Dimmock was murdered in her own home. Her partner returned the next day to find her throat slit from ear to ear. Nothing had been taken, the motive was a mystery, and this infamous Camden Town Murder was never solved. What inspired Scarlett was a series of paintings and drawings by Walter Sickert, who specialised in portraying the deep, dark underworld of London. His role was performed with admirable understatement by Johan Kobborg, whose friend was the murderer in this take on the story. Sickert’s friend, very well portrayed by Thiago Soares, obviously has two sides to his nature, and the fight with the prostitute was wonderfully realistic as he grappled with Leanne Cope, superb as the unfortunate Emily Dimmock. But that is only the start. This is a full-length story in one act, intense, brutal, and with ramifications at the highest level. The story has been set in the late 1880s when Queen Victoria’s grandson Eddy was still alive, and Lord Salisbury was prime minister. 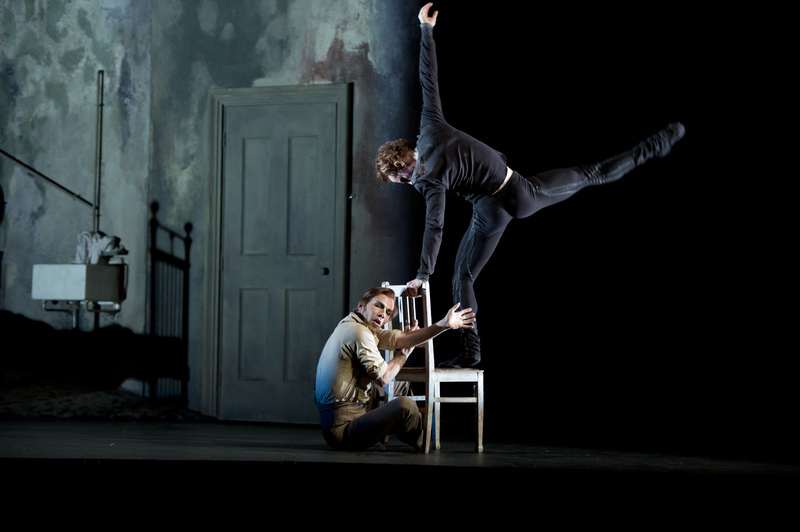 Both or them appear here, portrayed by Federico Bonelli and Christopher Saunders, to say nothing of Jack the Ripper, played as a very sinister character by Steven McRae. Laura Morera, Alina Cojocaru and Tamara Rojo danced beautifully, the first two as historical characters, and Rojo as an alluring artist’s model. This was a fabulous performance by an all-power cast, and a senior member of the Company told me the other cast is equally terrific. Rachmaninov’s music for piano, violin and cello was beautifully played, and John Macfarlane’s designs, with David Finn’s lighting, gave a sombre, threatening atmosphere to the whole business. The clever use at one point of a stage and audience within the stage allows us to see the backs of the performers, making it feel as if we are looking in at things we should not really see. I shall go again, and again. Scarlett’s inspired new work is worth the whole triple bill. The third item, Carbon Life was a new creation by Wayne McGregor. Like his other work it involved unusual lighting design, this time by Lucy Carter, and I loved the clever way in which the dancers at the start appeared to glow in the dark. The whole thing was in several parts, with rock music and rap performed by musicians behind the dancers. Costumes ranged from simple swimming trunks to elaborate black outfits having pointed hoods, with cross-dressing allowed. The overall impression was of a very high quality music and dance video. Fun, balletic, and full of frivolity. 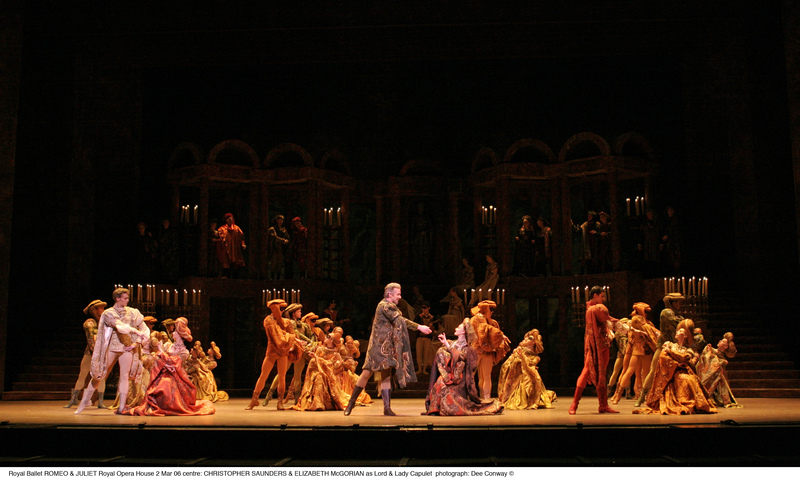 Performances of this triple bill continue until April 23 — for details click here. This was stunning. MacMillan’s Romeo and Juliet is full of wonderful choreography, and on the opening night of the present run it was superbly danced by the whole company, with the lead roles gloriously performed by Carlos Acosta and Tamara Rojo. She was among the finest Juliets I have ever seen, so shy and playfully girlish when she first appears with her nurse, yet seeming to float through the air in the main pas-de-deux with Romeo at the party in Act I. Acosta as Romeo was a powerful presence throughout, and his solo in the Act II public square was magnificent. His partnership with Rojo glowed with passion, and just the right amount of cheekiness when they wave goodbye as he and his friends leave the party. Her body language was quite remarkable: the scenes with Romeo where she walks on air, the scenes with Paris whom she quickly grows to detest, and the anguish as she decides to use the potion given her by Friar Laurence. Yet it was not all Acosta and Rojo. The rest of the cast was superb, with Gary Avis a restrained Tybalt, so provoked by the Montagues that he finally loses it. This is surely the right way to play Tybalt, rather than being almost out of control from the word go, which I’ve seen sometimes. Johannes Stepanek made a wonderfully wimpish Paris, Christopher Saunders a brutally forceful Capulet, and Elizabeth McGorian a suitably emotive Lady Capulet. José Martín was a fine Mercutio, and some of the smaller parts glowed with inspiration. Right at the start Christina Arestis gave a lovely portrayal of Romeo’s initial flame Rosaline, and both she and Tara-Brigitte Bhavnani as Lady Montague moved with natural grace, getting the épaulement and head tilting to perfection. With designs by Nicholas Georgiadis this looks perennially fresh, and then of course there is Prokofiev’s wonderfully emotional music, which was played with huge energy and verve by the orchestra under the direction of Pavel Sorokin. The musical side of things does not always come off so well, but this performance got the present run off to a terrific start — not to be missed. Further performances with various casts continue until March 31 — for details click here. Colourful new costumes with Oliver Messel’s original designs updated by Peter Farmer, fine ensemble dancing and some excellent solos, what more could one want? Well … coordinating the conducting better with the dancing would help. 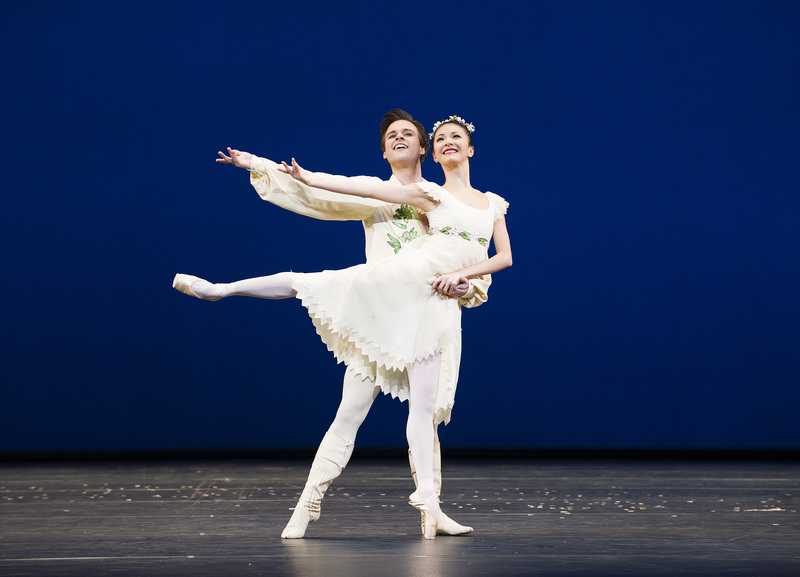 During the first interval, a lady from the audience told me she thought only one of the fairy variations in the Prologue was well danced, and that was Emma Maguire in the fifth variation (Fairy of the Golden Vine). Certainly she showed enormous poise and control, as she did in the pas-de-trois from Act III, along with fine performances by Hikaru Kobayashi and Kenta Kura. But what went wrong with the other variations in the Prologue? The audience was lukewarm about the first four (Yuhui Choe, Helen Crawford, Hikaru Kobayashi, Samantha Raine), but I’m inclined to blame the conducting, which I found sluggish. After Itziar Mendizabal followed with the Lilac Fairy’s variation, the young men dance, but the music was terribly plodding, which makes it hard for the dancers. Good performances on stage however, as the king throws the invitation list to the floor, realising his master of ceremonies has omitted Carabosse, and then on she came with her ghastly attendants. Genesia Rosato was a fine Carabosse, but as her coach exited something crashed. A bit of extra excitement was welcome and the audience around me were amused. Back for Act I with the delightful Tamara Rojo as Princess Aurora, and Gary Avis showing fine stage presence as the English prince. Pity about the ragged brass at the start of Act I, and pity about the Christopher Wheeldon’s new choreography for the Garland Dance, which is supposed to be a waltz. Problems with the brass reappeared in Act II, but Boris Gruzin’s conducting warmed up later in that Act, and the journey to the sleeping realm came over effectively. Act III contained some very fine dancing: the pas-de-trois of Florestan and his Sisters by Kobayashi, Kura and Maguire, as I mentioned earlier, and Yuhui Choe was a brilliant Princess Florine with her partner Alexander Campbell as the Bluebird. They danced beautifully together, and Red Riding Hood and the Wolf were wittily portrayed by Leanne Cope and Johannes Stepanek, with the little trees that now come on stage adding a nice touch. 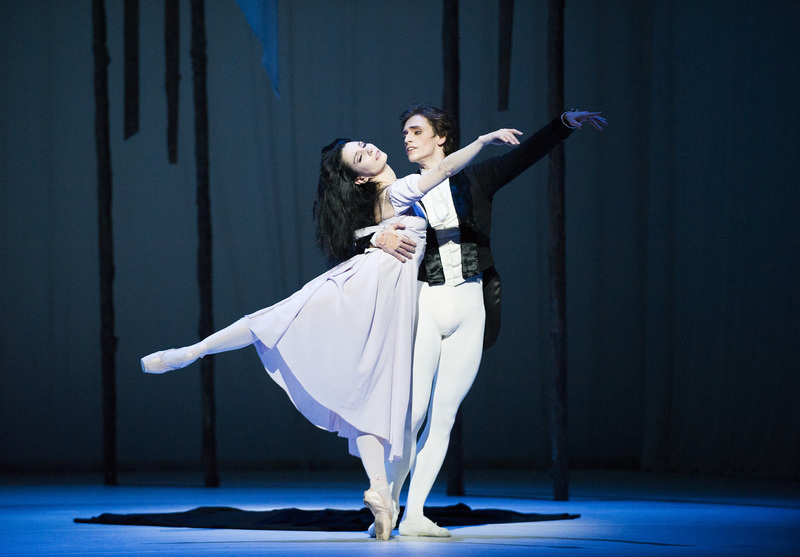 As the principal characters, Tamara Rojo and Federico Bonelli formed a fine partnership and came over as real fairy tale characters, he the perfect dark haired prince and she showing the reserve befitting a princess who is manipulated by forces outside her immediate control. This revamped production with its new costumes is certainly worth seeing, though I hope the Company can make more rehearsal time available for putting the orchestra together with the dancers. Performances with various casts continue until December 21 — for details click here.